"" Writer's Wanderings: Hunting for Vacation Rentals? There's An App For That! Hunting for Vacation Rentals? There's An App For That! Ever play a pin ball machine? I'm talking about the real ones not the virtual hand held games on your iPhone or tablet. The ball would get released and bounce back and forth hitting targets, setting off lights, and scoring points. And then, just before it disappeared at the bottom of the table, you got a chance to propel it back through the game again with the side flippers. It was erratic and often tense if you were truly competitive. While playing pin ball might be fun, when it comes to choosing a vacation rental for that dream getaway the last thing you want is erratic and tense. The new Dwellable app for your iPhone or iPad delivers a clever and engaging way to search for the perfect spot at the price that suits your budget. I was amazed when I downloaded it to my iPhone at how easy it was to navigate. 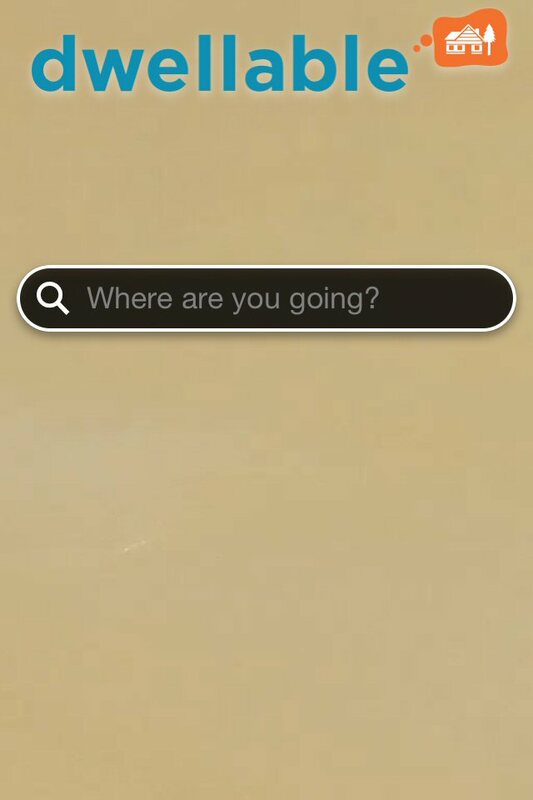 The home page is a video of the ocean washing up on a beach and it asks you "Where are you going?". Well actually the search bar has that printed on it. Click there and you're off! If you don't know where you're going and just want to look around, you can go to All Destinations and find the states listed there. Pick one and your next stop is a listing of cities or areas depending upon the state. 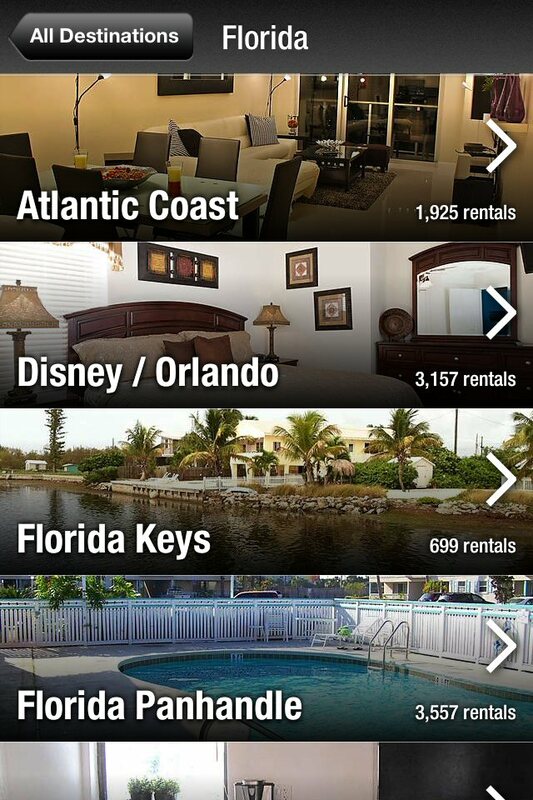 From there, you begin to find listings for vacation rentals with the number of beds and price right up front. And it's all done in beautiful photographs with more information about the rental when you click on it. It's pretty seamless and if you get to the end and don't like what you found, you can hit the Home spot at the top and get another chance at it. Kind of like those side flippers on the pinball machine but if you're a traveler like us, you won't mind exploring more. Let's see, Alaska, Clam Gulch. 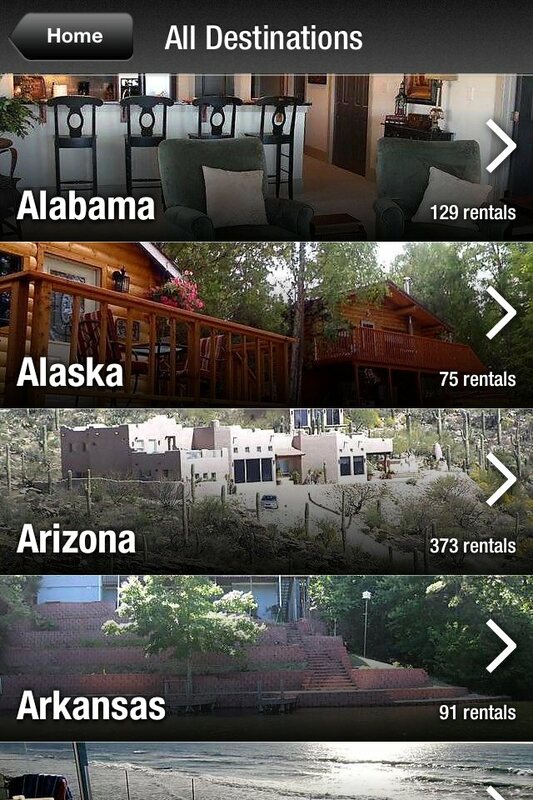 Ah, only one rental there. A note pops up asking me if I'm always the first to arrive at a party. Not many listings here yet. It promises more listings soon. I check out the other end of the USA, Florida. Now I could be bouncing around this place for quite a while. Lots of listings. I can hear those pinball noises in my head and the points are racking up. I'm a winner! I found the perfect place. And I didn't even have to put a quarter in. The app was free!